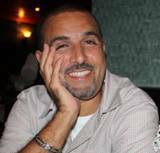 For a while now I've been thinking about moving away from the name "bahamaCatholic.com" and give it a name that is more about who I am and the site itself. 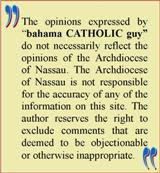 I'm Bahamian, I'm Catholic, and I'm a guy, so there you have it "bahama CATHOLIC guy". Initially I had intended on only sharing current, past and future events within the Archdiocese of Nassau, however I have been moved by the Spirit to take it one step further. Pope Benedict XVI has been calling for a new evangelization; "We need to overcome the temptation to limit ourselves to what we already have, or think we have that is safely our own: that would be a slow death for the church as a presence in the world," says the Pope. Utilize the gifts and talents God has given you to spread the Word of God to others as it is expressed through your faith as a Catholic. 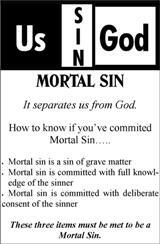 This website has been ongoing since July 2009, so I am at a crossroad now where change has become necessary. Hello to "bahama CATHOLIC guy". 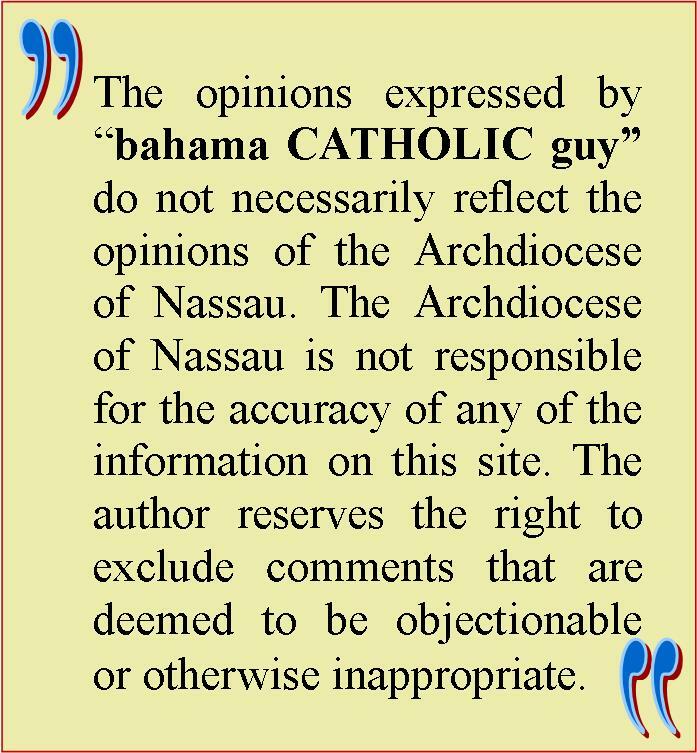 The site will still be accessible by http://www.bahamacatholic.com/ but can also be accessed by http://www.bahamacatholicguy.com/. I am very proud of this marriage between the two. 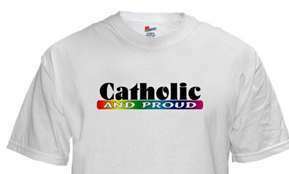 I am Kevan Knowles, Catholic and proud!